about this book: We all at some point in our life have had or still have a person that could be labeled as a frenemy. What is a frenemy you may ask? A short explanation is someone who pretends to be your friend but secretly wishes you harm. 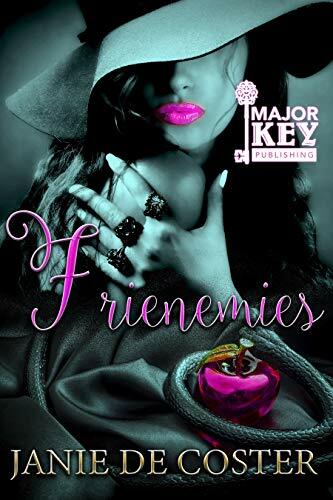 Frienemies shines a light on several levels of emotional relationships in my novel. It begins with Natasha and Sloan who shares a tight bond of friendship since childhood. Their friendship has taken them through good times and bad throughout their growing years. Now as adults their relationship as best friends couldn't be any stronger. Even though the friends have dated others neither has secured a permanent relationship causing family members to wonder is it because of their affection for each other. Of course, they both vehemently deny such observation and when a new couple, Essence and Derrick who join their place of employment both friends find themselves caught up in a tangled web of jealousy, love, lust, and lies which may cost one of them their lives.